Newly married couples can find everything they’re looking for in a honeymoon locale in the Caribbean, insists Tripps Travel Network. 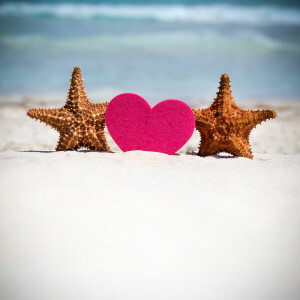 The Caribbean can be the ideal location for a honeymoon, and Tripps Travel Network shares some of the reasons why. This part of the globe is no newcomer to the travel scene, but couples may not know exactly what these islands have to offer. From the Blue Hole in Jamaica to Hunte’s Gardens in Barbados- the Caribbean is stunning when it comes to natural beauty. Tripps Travel Network shares that sunsets, beaches, palm trees, forts, rainforests and waterfalls are just some of the more notable sights here. What better place to inspire romance than the awe-inspiring scenery found in this tropical paradise? Another perk of choosing the Caribbean for a honeymoon is the weather. Balmy winds, sunny skies and warm waters are the norm here. Even if a winter wedding is planned, a honeymoon involving fun in the sun can go off without a hitch in this region. Honeymooners can return to the mainland with that sun-kissed look after getting some color. Eating outdoors is common here too, as the weather is so inviting. Sometimes distractions of the modern world can wreak havoc on a couple’s time together. But here in the Caribbean, those distractions seem like they’re a world away. Honeymooners can concentrate on one another while spending quality time together as a married couple. Tripps Travel Network adds that bonding during this period can be done effortlessly in the Caribbean environment. Another reason to choose the Caribbean for a honeymoon is the abundance of activities couples can engage in when visiting. Watersports like swimming, paddleboarding, scuba diving, snorkeling and fishing are popular for couples. There are many hikes and tours couples can enjoy as well. Seasonal activities like whale watching and attending regional festivals can be memorable too. Those wanting to get pampered can elect to receive couple’s massages. The Caribbean is a honeymoon destination that can please both husbands and wives equally. Tripps Travel Network concludes that this locale can be just the spot for an unforgettable honeymoon.